Collins brings Agatha Christie, the Queen of Crime, to English language learners. These carefully adapted versions are shorter than the originals with the language graded for upper-intermediate learners. Recently, there have been some strange things happening at Styles, a large country house at Essex. Evelyn Howard, a loyal friend to the family for years, left the house after an argument with Mrs Inglethorp. Mrs Inglethorp is then suddenly taken ill and dies. Has she been poisoned? It is up to the famous Belgian detective, Hercule Poirot, to find out what happened. Agatha Christie (1890-1976) is known throughout the world as the Queen of Crime. Her books have sold over a billion copies in English with another billion in over 100 foreign languages. She is the most widely published and translated author of all time and in any language; only the Bible and Shakespeare have sold more copies. She is the author of 80 crime novels and short story collections, 19 plays and six other novels. The Mousetrap, her most famous play, was first staged in 1952 in London and is still performed there – it is the longest-running play in history. Agatha Christie’s first novel was published in 1920. It featured Hercule Poirot, the Belgian detective who has become the most popular detective in crime fiction since Sherlock Holmes. 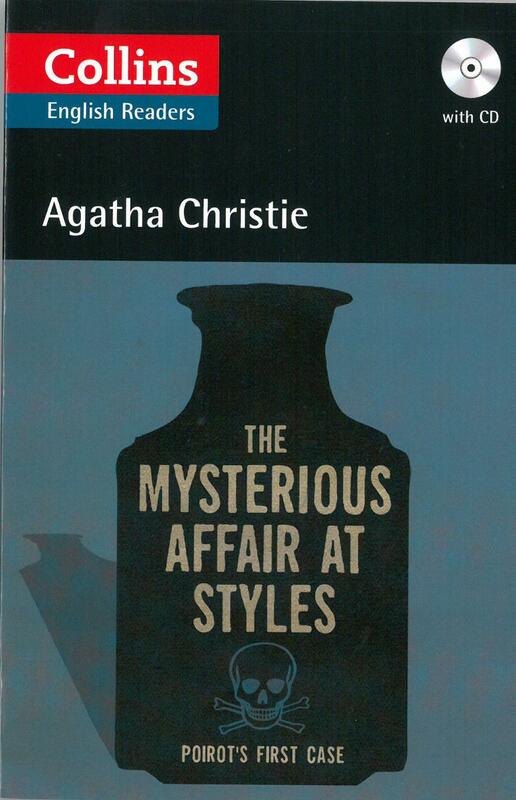 Collins has published Agatha Christie since 1926.